Whats New On The Farm! 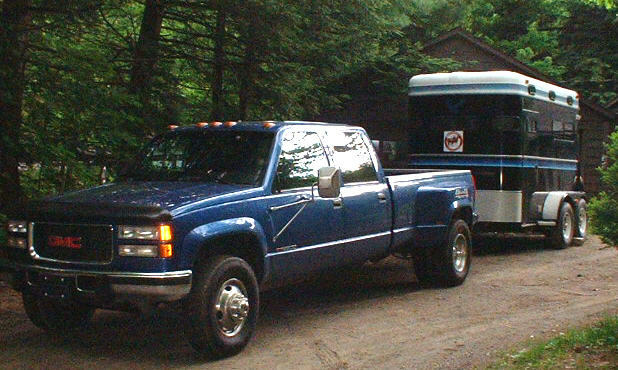 The Stevens Family Horse Farm Transportation Services is no longer in operation. We've turned towards an entirely different direction with our farm and horses. Please stay tuned as updates will be coming soon! The best advertising is word of mouth, so if you know someone who may be interested in our services, please email us! Interested in horse power, raising and caring for horses? Click on the link below and enter "Horses" into the search for a list of books! Enter "Draft Horse" and you'll find how to books on work horses! Order online and save! Get your horse site listed at www.equerry.com! We'd love to hear from you! Please sign our guestbook!